Availability: The Atlanta fulton Library carries it which is nice! as does Amazon. Unique points: a picture book written in chapters ~ great for the early reader who wants to be reading the ever-so-grownup chapter books.This book is pretty informational with a slight story that goes along with it. 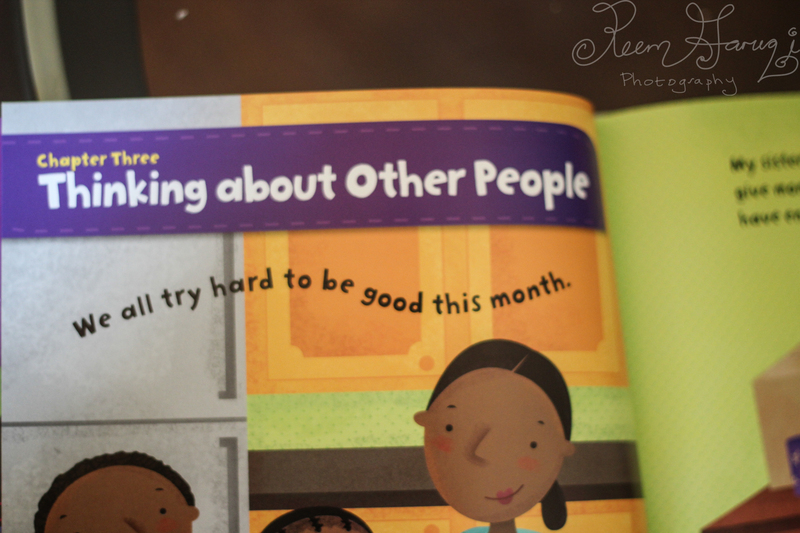 It has informational blurbs on each page. The pictures are vibrant and doodly. 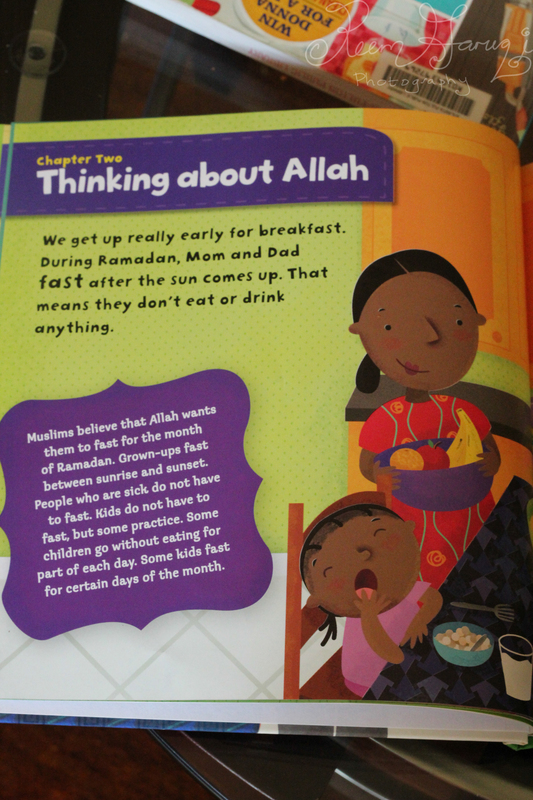 I liked that Rashad’s mother wears hijab in some pages but doesn’t wear her hijab (headscarf) at home. 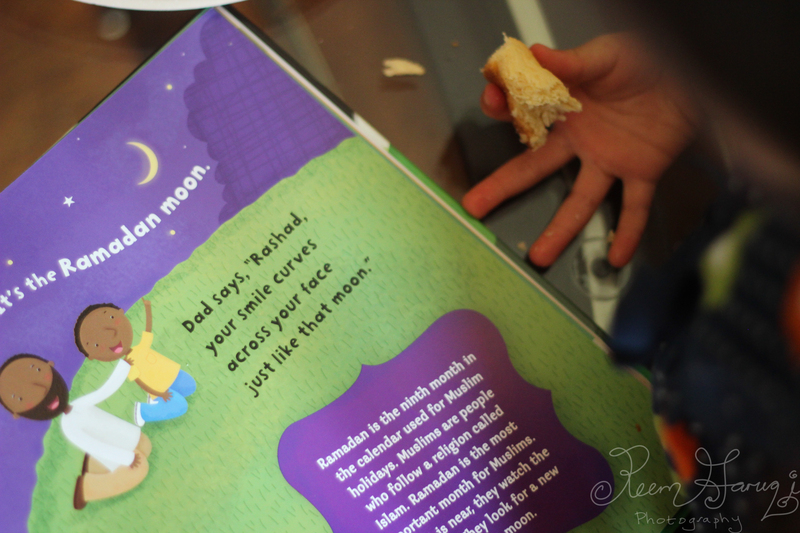 Sometimes children can be misled and think that Muslim women wear hijab all the time, which is not true: they wear it in public. 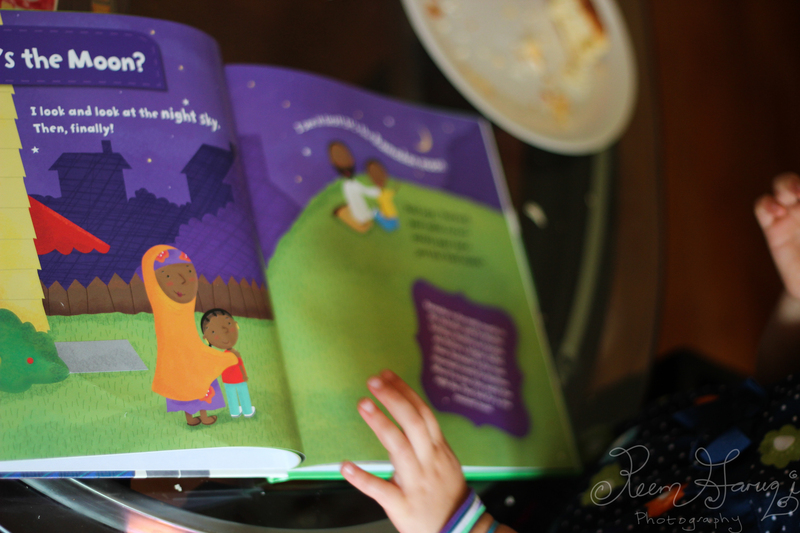 I also liked that Rashad’s mom’s hijab was a vibrant orange. It’s the small things that count! I’ve been watching the moon every night. Tonight I look extra hard. When it is fat and full, we’re halfway through Ramadan. 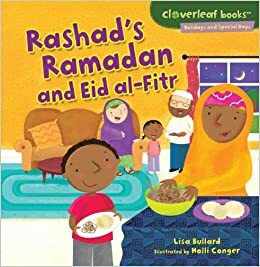 Another perk: I also liked that Rashad was an African-American Muslim and he looked like he lived in America. 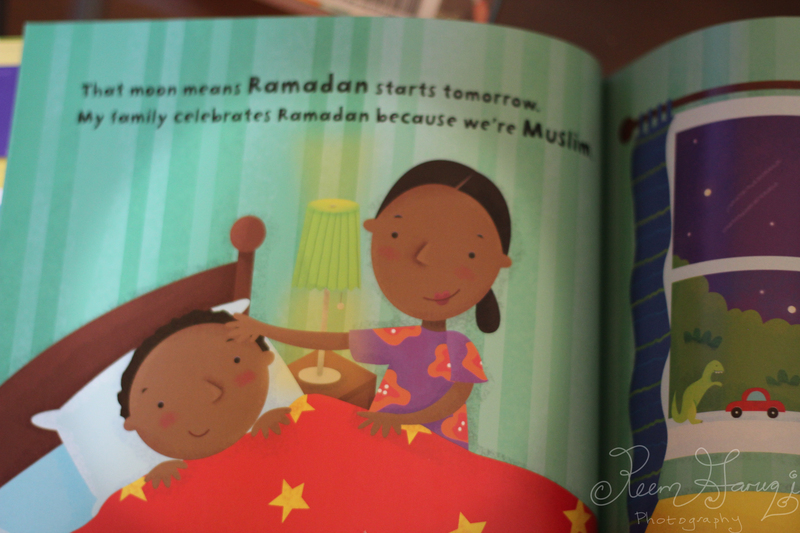 I also liked the multicultural illustrations that portrayed Muslims being a variety of races. There wasn’t a Look Inside! feature on Amazon, so I added a preview of the book below. 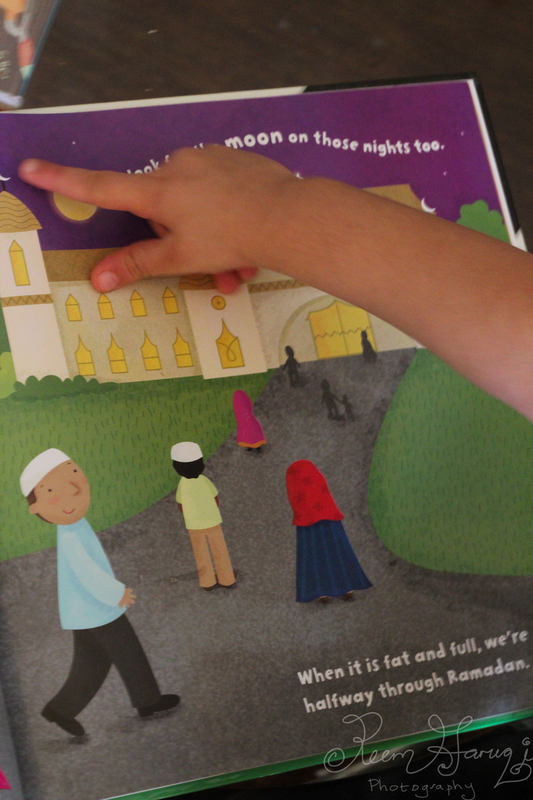 Z liked pointing out the moon in this story. She also liked the big yellow school bus. 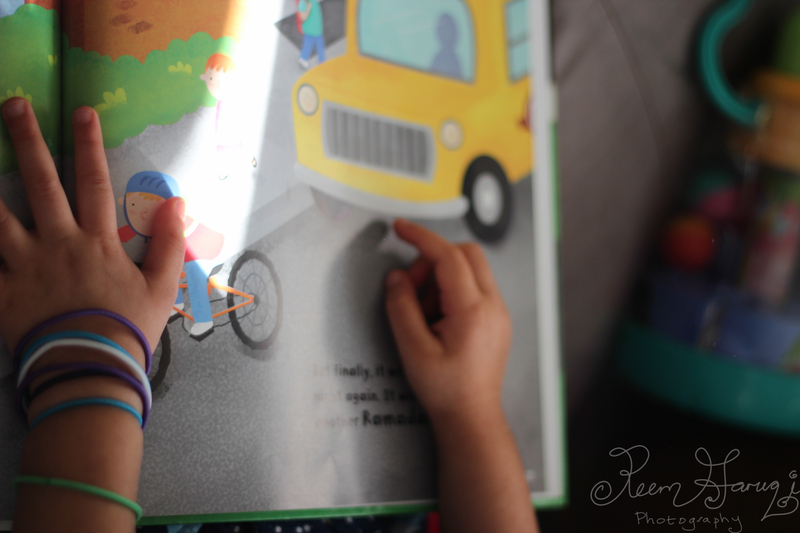 I like the setting of this story ~ I believe children will be able to relate to this story. such sweet illustrations! Makes my mouth water! they are nice and fun :)!